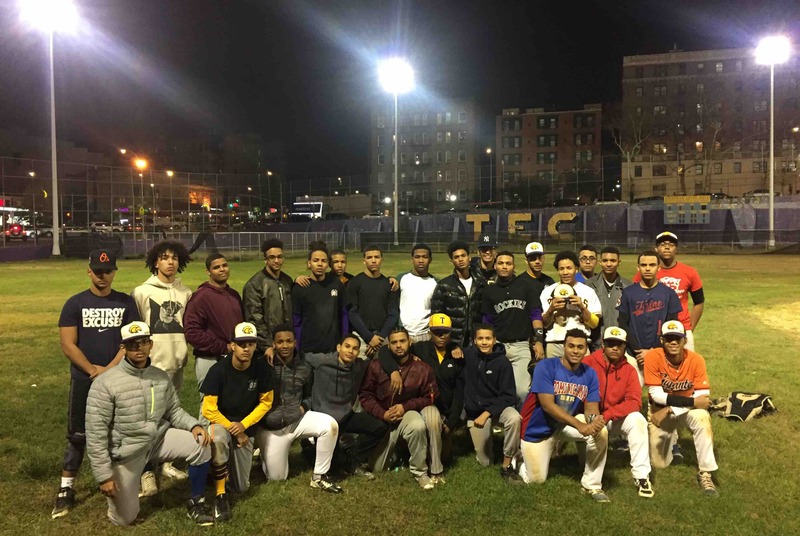 We are the Taft Educational Campus Varsity Baseball Team. The Golden Eagles. The South Bronx is our home and New York City is where we play our games. We really enjoy playing baseball and being student-athletes. Our goal is to become better players, return to the playoffs for the first time in 3 years and possibly earn scholarships to play baseball in college and earn an education. Unfortunately, a lot of our equipment is becoming unsafe to use or broken. One of our most important tools broke in the middle of practice. Our pitching machine. It was over 30 years old. It just stopped working. Our coach has fixed it a number of times, but this time it would not come back to life. Our helmets need replacing, we need wood bats, we aren't allowed to use metal. We could use baseballs to practice with and more jerseys to add to what we have, so everyone can have their own and players don't have to share. With budget cuts it is going to be impossible for us get this equipment for the upcoming season. We would really appreciate support for our cause. The equipment we raise money for will be put to use even after we are gone and in college; it will assist in training other guys who might be awarded an opportunity because of baseball as well. Please support us!